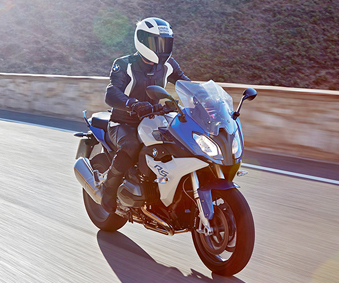 If you are a Milton resident and you are looking for a bike for sale in Milton, then you should come into Budds’ Motorrad in Oakville and check out our inventory of supreme driving machines. Budds’ Motorrad has something for everyone, and it does not matter what kind of rider you are, Budds’ Motorrad has got the bike for you. Proudly servicing residents in the Milton area, we pride ourselves on providing top quality customer service to all of our valued clients, and you will experience this as soon as you step foot into the dealership. When you are looking for a bike for sale in the Milton area, you have come to the right place, and we have got many different types of bikes in stock like tour bikes, heritage bikes, sport bikes, adventure bikes, and roadster bikes. All of our motorcycles for sale around Milton are built with the highest quality lightweight materials and the most innovative technology from the engine, all the way to the accessories. Budds’ Motorrad has provided a list of a few of the motorcycles you can expect to see when you come into Budds’ Motorrad looking for a bike for sale in the Milton area. Tour bikes are designed for long and adventurous road trips or “tours.” These motorcycles are designed in a specific way to benefit the kinds of riders that utilize these bikes for long rides. Tour bikes commonly have a windshield that offers a high degree of protection against weather, large displacement fairings, large capacity fuel tanks to accommodate longer rides, engines with a great deal of low end horsepower, and a more relaxed and up-right seat position for comfort. If you are looking for a sport bike for sale in the Milton area, then you have come to the right place. Sport bikes are optimized for speed, acceleration, braking, and cornering on paved roads, typically at the expense of fuel economy and comfort when compared to other motorcycles. If you are seeking a motorcycle that will give you pure exhilaration while riding it, then a sport bike for sale in the Milton area at Budds’ Motorrad Oakville is for you! Dual-sport bikes are designed for both on and off-road use. These bikes are equipped with things like lights, speedometer, mirrors, horn, license plate mounting, and a muffler and can therefore be registered and licensed. These bikes are perfect for riders who enjoy driving on pavement and more rugged terrain. If you are in the Milton area and you are looking for a bike for sale around Milton, then we recommend that you come into Budds’ Motorrad in Oakville and check out our stock of exceptional motorcycles. If you would like to know more information about Budds’ Motorrad Oakville, please feel free to continue browsing through our website, or you can contact a representative via phone or email.